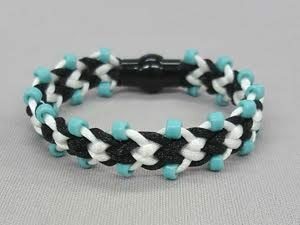 This flat kumihimo braid is perfect for bracelets, chokers, and even dog collars. 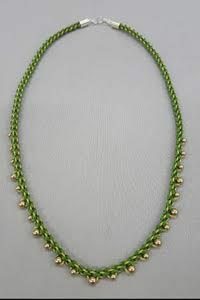 It is useful with fiber alone as well as fiber plus edge beads. You will use satin cord for enhanced learning. It is beautiful with other fibers as well. End your piece with a glue in magnetic clasp. This class will introduce you to a new basic braid other than kongo-gumi (round braid). Learn techniques & tips to create a uniform, harmonious braid.